Jacob Prince had the most liked content! What is your favorite music video from Remember us to Life? We’ve made a lot of serious updates to the site over the past few weeks, so here’s one that’s just for fun. Introducing: Regina-Mojis The update includes the five reactions seen above, and ten emojis for use in your posts. 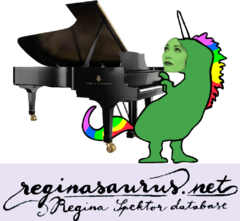 To type a Regina-Moji just click the smiley-face in your comment/post 's editor bar. Press the heart to react to this post, and have fun talking in the forums!